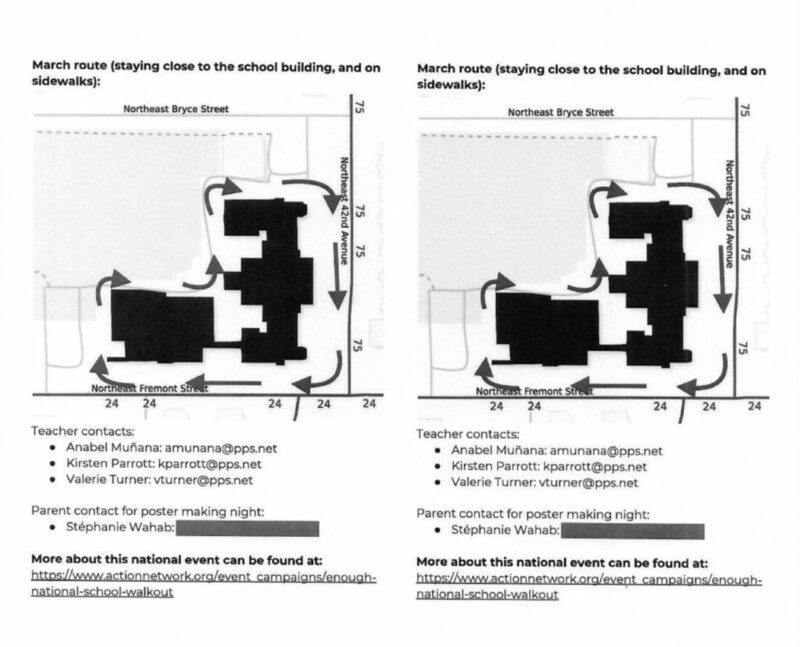 Here Are Emails & Flyers Showing Portland, Oregon Teachers & Administrators Organized ‘Student’ Anti-Gun Walk Outs & Why Parents Are Now Suing in Federal Court. The Portland Public Schools and Superintendent Guadalupe Guerrero are being sued in federal court for using tax money to orchestrate a mass anti-gun mass walk-out by students. 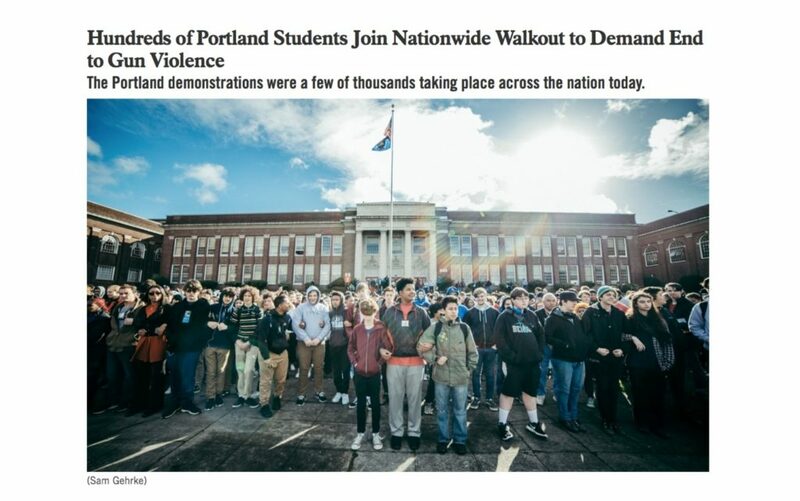 The civil rights lawsuit, brought by two sets of Portland parents, allege that Portland Public Schools went to great lengths to produce the 2018 demonstrations which saw thousands of students leave classrooms and take pictures of themselves with anti Second Amendment, anti NRA and anti-gun signs. 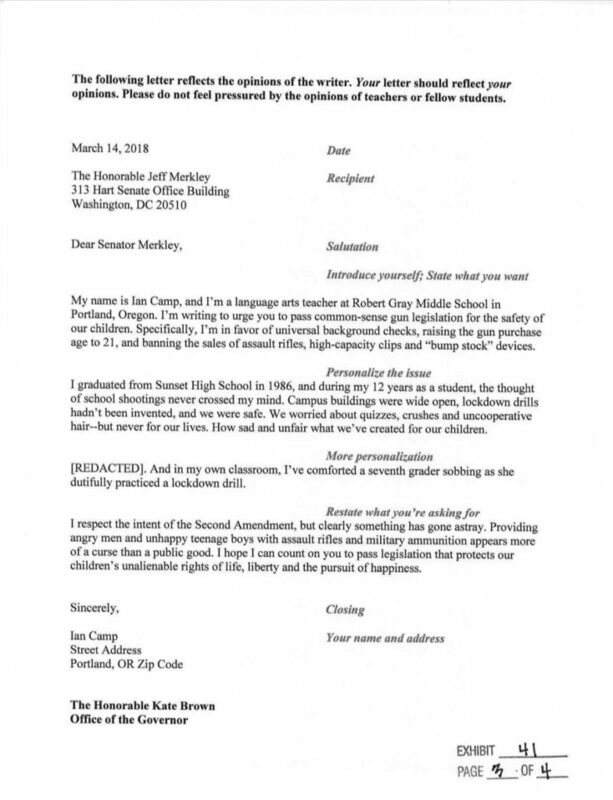 The 31-page complaint included emails and photos demonstrating what Buchal said was collusion between administrators and school officials to work with anti-gun groups to “groom” students into ‘leading’ the walk outs. Such efforts at the very least defied the District’s own policies. 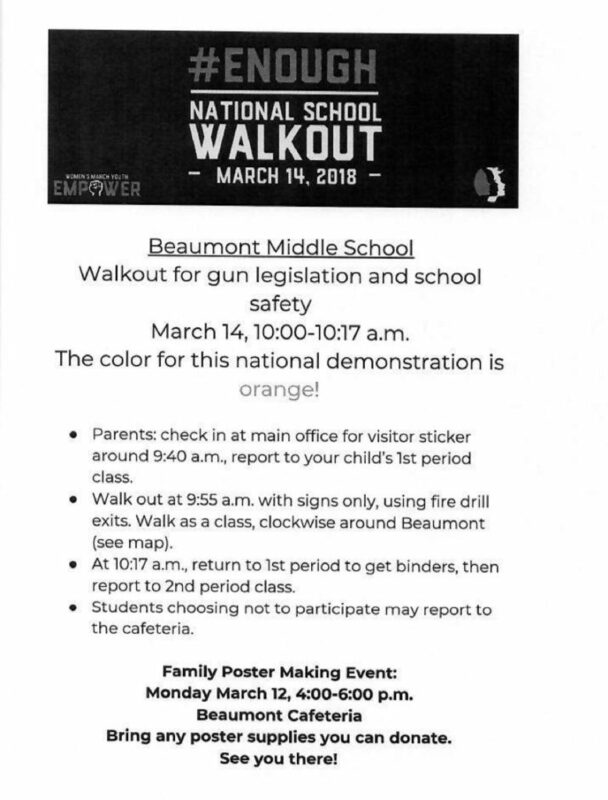 It was so obviously a school-led event that parents had to opt out their children or they’d be required to participate in the walk out. Schools changed their bell schedules to add an extra period so students breaking the district’s own policies wouldn’t be marked absent. The walk outs were an orchestrated commemoration of the 17 students murdered at the Majory Stoneman High School in Parkland, Florida in 2017 by a mentally deranged gunman and former student. Buchal says there was never mention of the Parkland school’s own complicity in the violence, beginning with the PROMISE program that refused to arrest and treat the mentally ill student, to the armed school resource officer who cowered outside while students were being shot inside the school. Buchal, a Harvard educated and Yale trained lawyer, argues that by forcing parents to subsidize the political activities of teachers and administrators, it “… violates their First Amendment rights, and that the pervasive climate of indoctrination and intimidation within the Portland schools also unconstitutionally interferes with the free speech rights of students. The suit also seeks to compel PPS to complete its long-overdue response to the Public Records Act request, pointing out that the Multnomah County District Attorney previously ordered PPS to complete the production by December 6th. I would have posted this last Thursday when I heard about it, but family commitments prevented it. However, the later timing allowed me to see the ‘coverage’ this important story got. 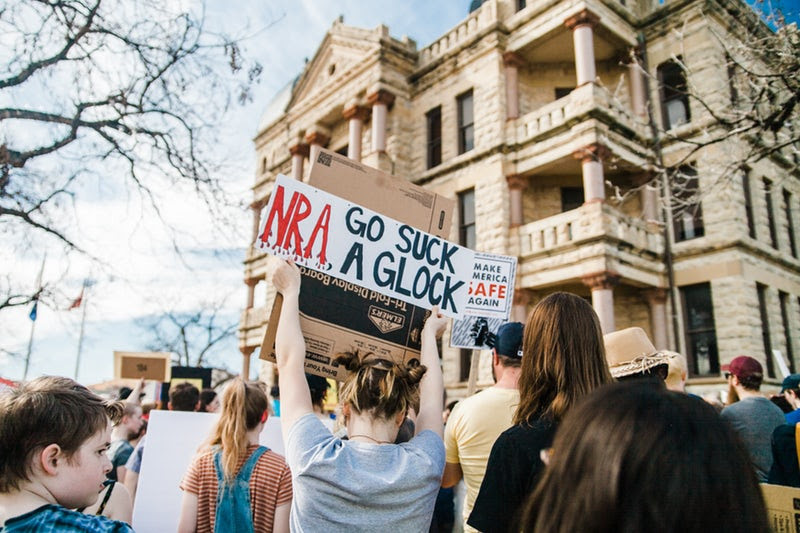 Willamette Week headlined its story “Multnomah County GOP Chairman Sues Portland Public Schools Over Gun Control Protests,” intentionally leaving the impression that it was the GOP bringing the lawsuit. Nothing wrong with that if it were the truth, but it’s not. 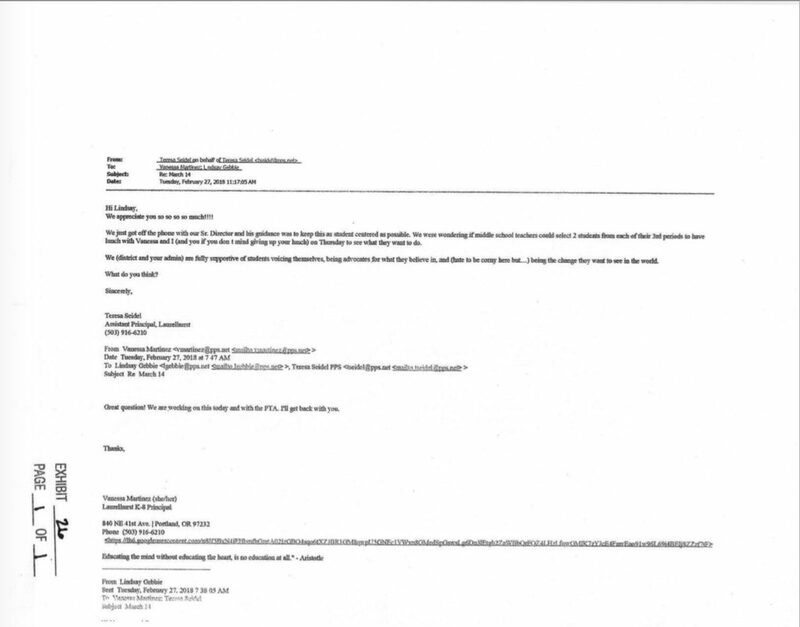 Former Oregonian political-writer-turned “director of strategic communications and outreach” for PPS, Harry Esteve, sees it as “baseless” I suppose because to see it otherwise might encourage citizens to look at Buchal’s legal exhibits revealing Esteve’s latent and overt fingerprints all over this manufactured event.